Renowned addiction expert Patrick Carnes, PhD, author of A Gentle Path through the Twelve Steps, outlines twelve guiding principles to help those in recovery develop an essential skill set for life. Twelve Steps. Twelve Traditions. And yes, Twelve Principles. The Steps outline the actions that lead to extraordinary healing. The Traditions exist as guides to the functioning of the Fellowship. Embedded in both is a series of Principles by which to measure your progress. 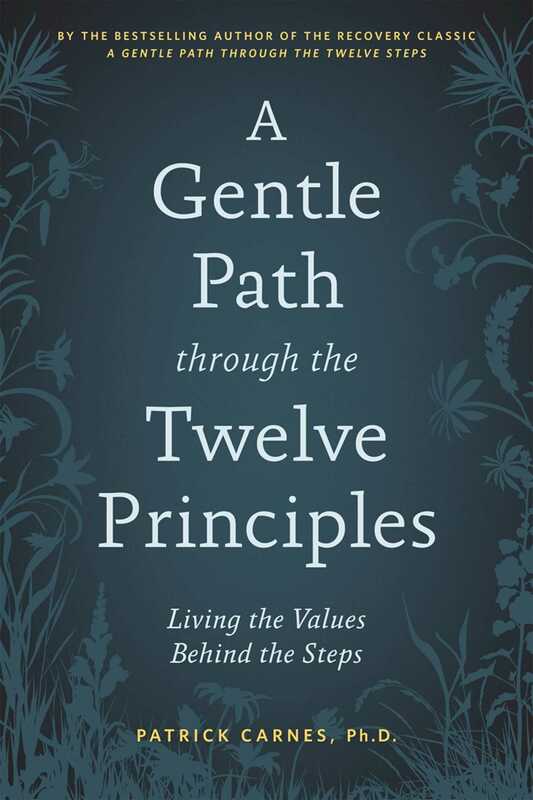 Anyone who lives a Twelve Step way of life will recognize the principles passed on in A Gentle Path through the Twelve Principles. They have existed among fellowships as a hidden curriculum of fundamental truths about recovery for decades, but never before have they been distilled into a succinct set of values that, when practiced, help each of us to develop an essential skill set for life. The principles--such universal touchstones for human self-realization as acceptance, awareness, responsibility, openness, honesty, courage, commitment, and meaning--are concepts that enable a deep inner study and focus to make a new life happen in recovery. Recovery means reengineering your life with a focus on renewal. The Twelve Principles are designed to help you get there.